Today we leave Uganda for home. Of course we won’t get home until tomorrow evening. 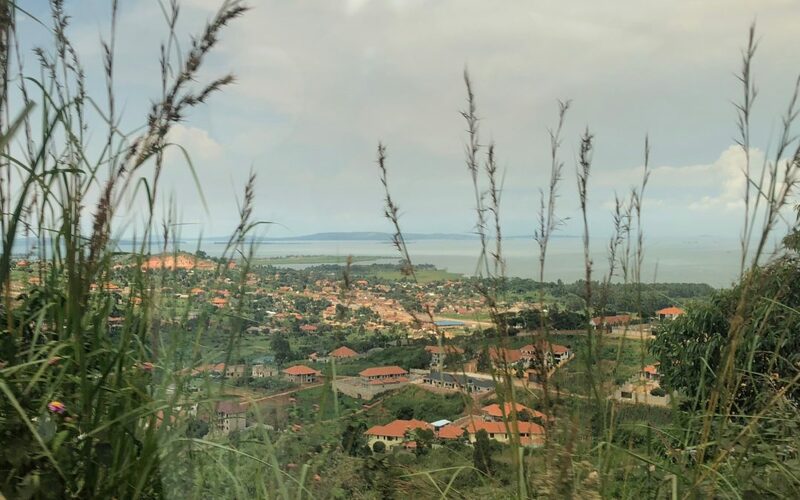 The landscape of Uganda is beautiful, green and lush. They have had a lot of rain recently. Driving around one sees large plots of corn fields, and small ones in people’s front yards. 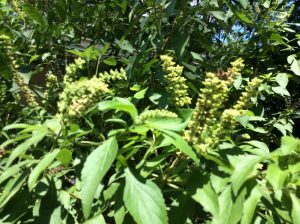 Often ground nuts (peanuts) are planted amongst the corn, but there are also fields of ground nuts, cassava, sugar cane, matoke and banana trees, and lots of fruit trees – mangoes trees especially. Along the highways there are goats and cows tethered eating the grass. Did I say lots? That is an understatemen!. Often we see young boys herding a small herd of cows down the side of the road, or through the market. 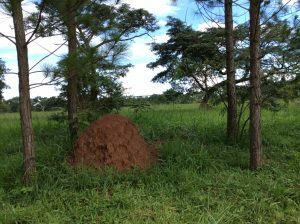 There are also large ant mounds where the white ants live dotting the landscape. 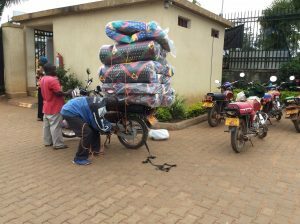 The roadways are filled with boda-bodas (small motorcycles) with two or three people on them, or a load of hay, or a mattress, or four, rolled up – you name it. Also there are people walking along side of the roads. – whether you are in the city or out in the middle of no-where. People are walking, walking. The people in Uganda that we have met and interacted with are dear to us. We find them to be genuine, sincere, grateful, loving, hospitable, kind, happy, and long-suffering. They want to learn. They do not have an easy life, yet they are content. They eat pretty much the same thing every day – matoke, posha, cassava, rice & beans, and chapati. Yet, they never get tired of eating the same thing every day. We are now at the airport in Entebbe, waiting for our flight home – well, at least the first leg of our flight home…. Thank you for these wonderful updates! It helps to know how to pray, and it’s a joy to see the pictures. Praying for safe travels home.